In which our agony aunts, the Fashion Raptors (or Fraptors, as I like to call them) answer your questions on fashion, etiquette, and life in general. 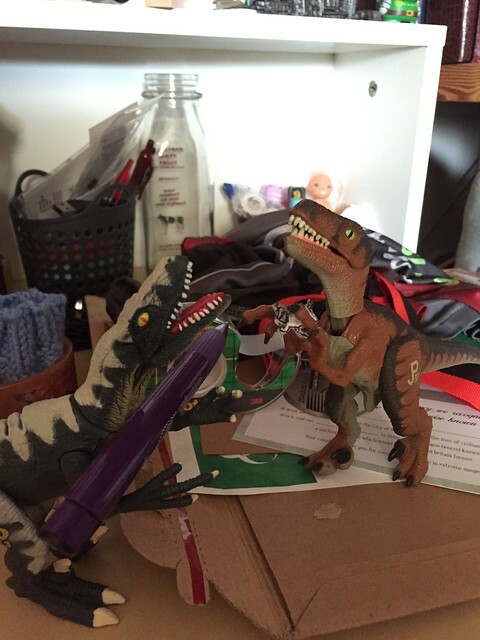 If you've got questions for our saurian sages, email us at ladiesofcomicazi@gmail.com and we'll pass 'em along. I'm in my mid 40's and work with three persons all around the age of 23. We try to talk throughout the day, but a lot of the things I like they have no clue as to what I'm talking about and show little interest. The same can be said on my part for what they are into. Any thoughts on how I can go about bridging the generation gap? Dear Gen-Xer: The generation gap: we know that feel. 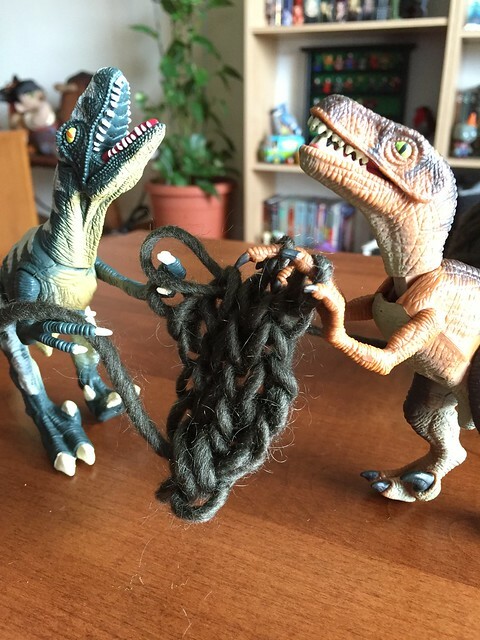 Though our dear fans are too kind to mention it, we can definitely be described as ladies of a certain age, and the hobbies that were popular in our first blush of youth - hunting in packs, tearing the flesh off of the bones of weaker animals, macramé - have fallen out of favor in these modern times. Gen-Xer, when we really love something, whether it's a tv show from the 80's or removing the still steaming viscera from our prey, it's easy to think that our interest is superior to the sad, pale imitators of today. Likewise, these hip youth, with their warm blood, hair, and lamentable excuses for claws, may feel that their shows, music, and other interests are edgier and more exciting than yours. Bridging the chasm can be a real conundrum. However, all is not lost! The important thing here is to realize that this doesn't need to be a conversational burying ground - it can instead be a great opportunity to have some cultural exchange. Being part of a pack means engaging in a bit of give and take, after all. Sure, you might not know what the heck they're talking about when they talk about what they just put up on Snapchat or listening to the latest Kendrick Lamar track, but you can keep the conversation going by just asking them to tell you a bit more about it. Have them play you a song, or show you the port they just got implanted in their skulls to use the latest app. By trying to be a bit more enthusiastic about their interests, you might get them to do the same for you. And who knows, you might even find something new to like! If they continue to show no interest in what you're talking about, try showing your dominance with a few push-ups in the middle of the office and tell them to quit slacking off and get back to work. I need your help. I like to collect stuff. While I'm not quite a hoarder, my stuff is quickly taking over my living space. I have a hard time letting go of things. I've recently gotten better at it, but it's not enough. Any advice on how to let more things go without having a nervous breakdown about it? It's important to think about why you are collecting the objects you do. You didn't state WHAT you collect, so we're gonna go with what we know and assume that it's skulls. What is the goal for your collection - is it acquisition, the need to have the most skulls around? Or is it curation - do you want to have the best skulls and display them tastefully for all to see and admire? If it's the former, you need to think about how to maximize your storage space. The acquisitive collector ideally has a large home in which to really heap her skulls high. If your den or lair is insufficiently large, you're going to want to really make the most of what you do have - shelves on all of the walls, and any furniture that doesn't have built-in storage isn't even worth your time. However, you sound like the other type, the collector who wants a sleek, well-lit collection of only the finest skulls for others to admire, and so you know you can't keep all of them. But you're plagued by nostalgia - the fond memories attached to each piece, the thrill that you felt hunting and taking it down. For you, Collector, we're going to suggest trying the KonMari Method. If you're not a prolific reader of lifestyle magazines, like we are, you might not know what that means. Basically, a Japanese cleaning consultant named Marie Kondo (KonMari) wrote a book called The Life-Changing Magic of Tidying Up that everyone from Gwyneth Paltrow to Martha Stewart has gone nuts over. While there are many steps to the method and you might want to check out some of these links to learn more, the central premise is that you have to go through all of your possessions, holding each one and asking yourself, "does this spark joy?" If you have your hands on something and it doesn't give you joy, it's time to get rid of it. Kondo has a system suggested for how to approach this, starting with items like clothes, that are typically more utilitarian, and saving things like family photos, which are just full of nostalgia, for last. The important thing is to really know what joy means for you, and whether your collection really brings it. Good luck, and hey, send us some pictures of your favorite skulls when you're done! I sit behind a desk at work all day and then I sit in front of the TV at night. I need more exercise in my life, but I hate the gym, so I'm thinking of giving running a try. How does a novice runner get started and what kind of clothes should I wear while running? You've come to the right place, Mr. Lethargic, because we are quite the pair of runners. The "veloci" part of Velocieraptor means "swift" and we revel in our speed, running everywhere. While that might not be a great way for a novice runner to start, it does show how easy it can be to work a bit of exercise into your every day life. Try walking places you'd normally drive or take public transit to, for example. Many people struggle with exercise because it feels like something extra that they need to do, when in fact the healthiest option is to make it part of your daily routine. Eventually you can turn those walks into runs, a little bit at a time. The Couch-to-5K program has been a great help to many of our human friends when they first took up running - it starts with doing walks with short bursts of running scattered through out. The running bits get longer and longer until at last you are running an entire 3 miles, which is very impressive for a mere human! You can also check out this fun app that Tiny Doom wrote about a while back to provide some inspiration. As for what to wear, while we prefer to be as...unencumbered...as possible, we understand that this is not a practical or legal human option. We suggest lightweight fabrics that wick away moisture - no one wants to wear a sodden cotton tee shirt. Spring is coming, so shorts are your best bet on the bottom - you want to find a length that works for you with minimal chafing. If you plan to run early in the morning or late at night, bright, reflective fabrics are a fashion must - they keep you safe from cars! Finally, don't haul your tired old tennis shoes out of the closet - that will lead to injury. Visit a reputable running store to find the shoe that's right for you! It should be a shop that focuses on running exclusively - they'll look at your gait and find shoes that will keep you at your best. We and the Ladies recommend Marathon Sports if you live in the Boston area, as they do. Good luck, Mr. Lethargic! You'll be running at a pathetic human pace in no time. 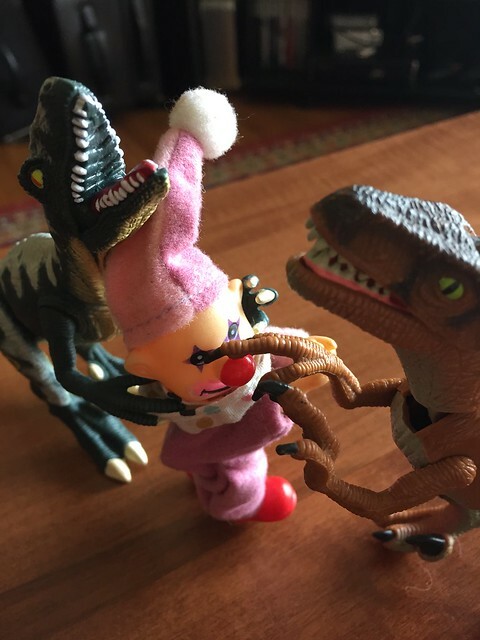 I have a friend who hates clowns. REALLY hates clowns. She's scared to death of them. Occasionally I like sending her pictures of clowns through the mail with little notes that say "I'm coming for you" and other things like that. Am I a bad person for doing this? We think you might already know the answer to this question, and that's why you're driven to ask: Yes. Preying on your friend's worst fears DOES make you a terrible person, and is a reflection on your own insecurities. But we're gonna encourage you to keep sending in the clowns - they're delicious. Do you love a loser?